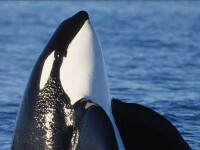 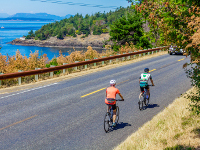 Orca whales live in the waters of the San Juan Islands year-round. 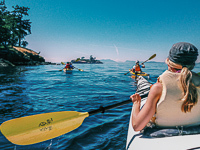 That makes it a great place to go whale watching. 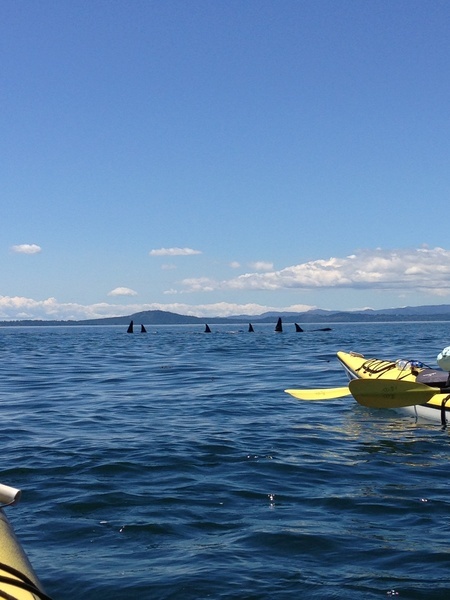 This lucky kayaking group got up close to a pod of around 30 Orca whales!